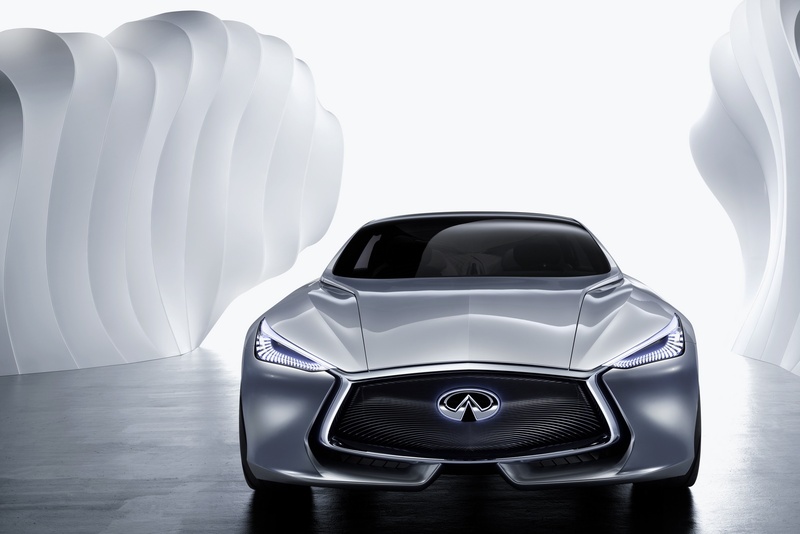 Αυτό είναι το Infiniti Q80 Inspiration Concept το οποίο θα παρουσιαστεί επίσημα αύριο στο Παρίσι. 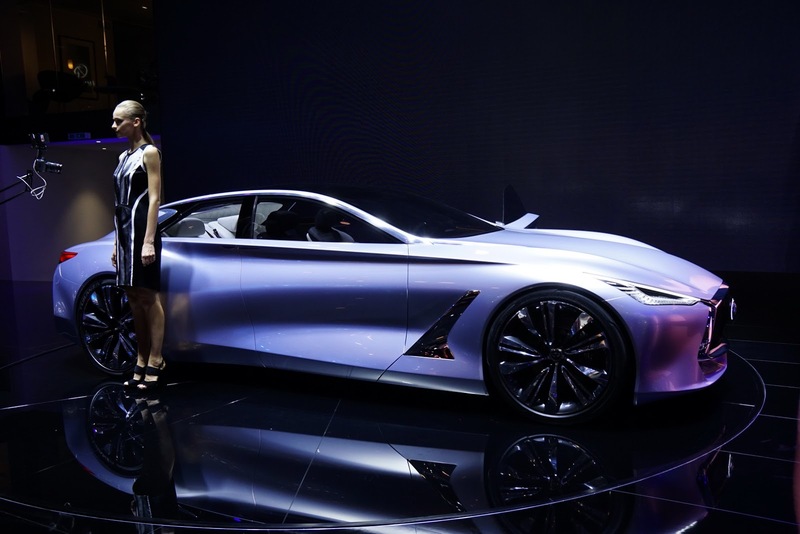 Το τετράπορτο fastback πρωτότυπο, περιγράφεται ως ένα τολμηρό και κομψό αυτοκίνητο, με το Q80 να φαίνεται ότι θα μαγνητίσει τα βλέμματα με την επιθετική του σχεδίαση. 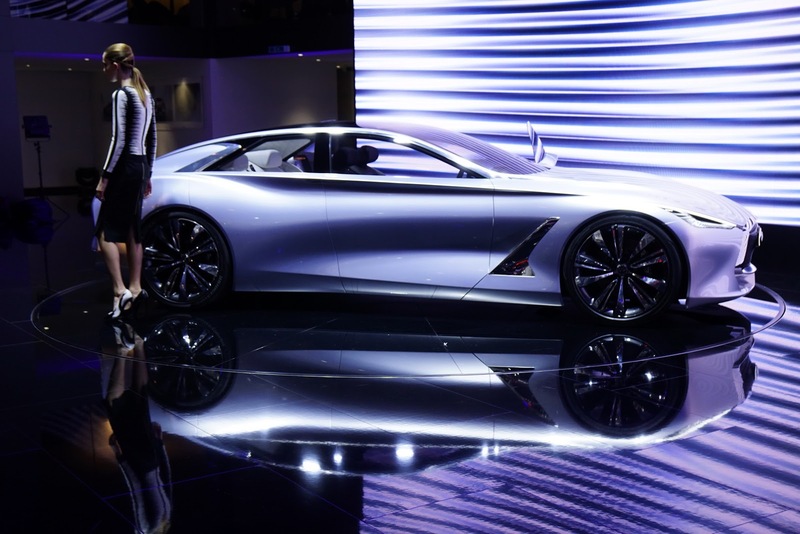 Ξεχωρίζουν η πανοραμική οροφή, με το concept να διαθέτει πόρτες που ανοίγουν αντικριστά και μεγάλες ζάντες 22 ιντσών. Έχει μήκος 5.052 χλστ., πλάτος 2.027 χλστ. και ύψος 1.350 χλστ, με το μεταξόνιο του να φτάνει τα 3.103 χλστ. Φορά έναν υβριδικό 3,0-λιτρο V6 κινητήρα και έναν ηλεκτροκινητήρα που αποδίδουν συνδυαστικά 550 άλογα με τη κίνηση να περνά σε όλους τους τροχούς. Έχει μέση κατανάλωση 5,5 λίτρα/100 χλμ και 129 γρ/χλμ εκπομπές CO2. Η καμπίνα του έχει τετραθέσια διάταξη, με την ιαπωνική εταιρία να αναφέρει ότι είναι εξαιρετικής ποιότητας και σχεδιασμού. Διαθέτει κοφτό τιμόνι, δερμάτινες και Alcantara επενδύσεις και ψηφιακό πίνακα οργάνων. Το πρωτότυπο φημολογείται πως μας δείχνει το πως θα μοιάζει η επερχόμενη ναυαρχίδα της Infiniti που θα κυκλοφορήσει το 2017-2018. 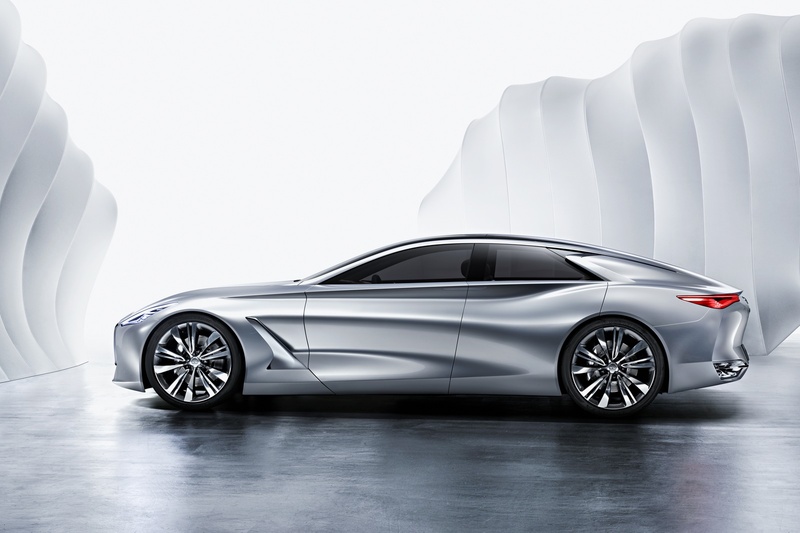 Θα βασίζεται πάνω στην MRA πλατφόρμα της Mercedes-Benz και μηχανικά θα φορά έναν υβριδικό V6 turbo κινητήρα απόδοσης 700 ίππων. 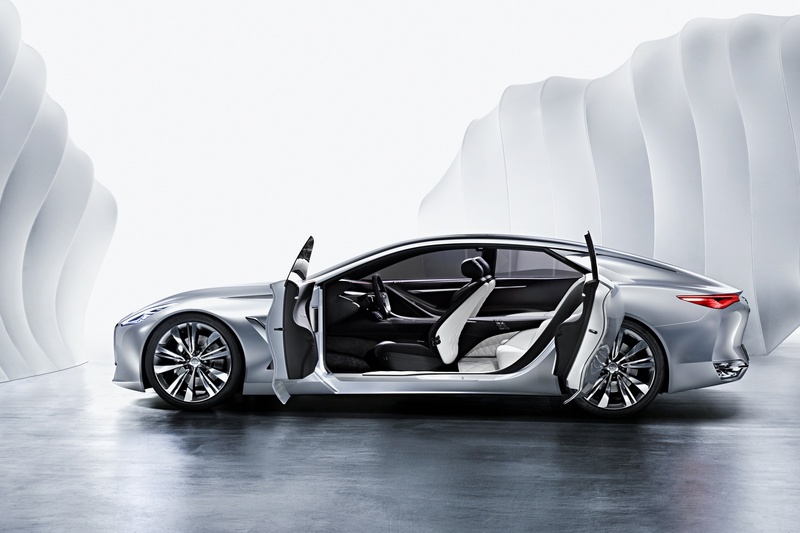 Hong Kong – Infiniti’s first foray into the upper echelons of the premium saloon category comes in the alluring shape of the Q80 Inspiration – a bold concept that hints at future Infiniti design language and smart powertrain technology. 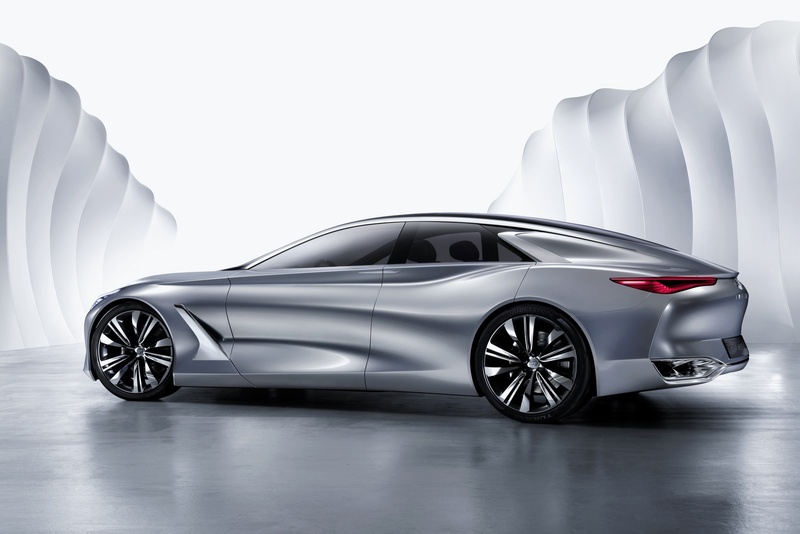 From the convention-breaking proportions and arresting body styling, the full-size Infiniti Q80 Inspiration four-door fastback marks a brave and innovative conceptual charge into a challenging sector. 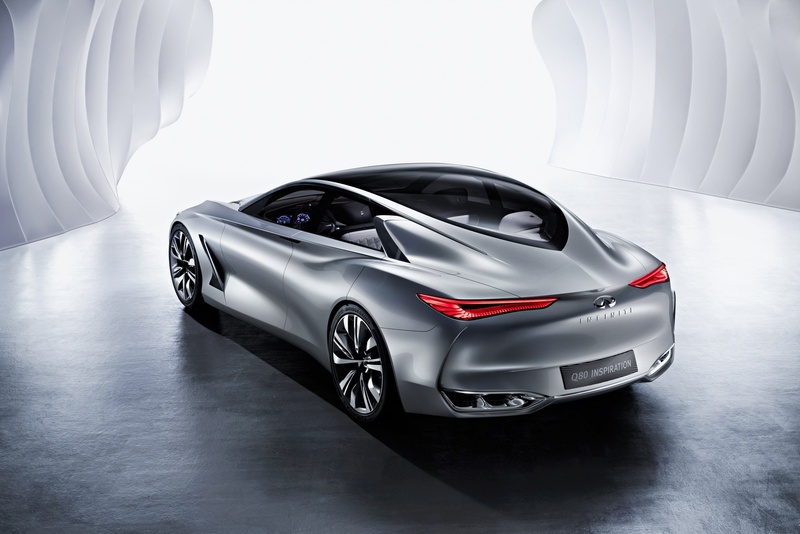 “The Q80 Inspiration concept was born to disrupt the premium saloon category,” said Francois Bancon, Infiniti Vice President, Product Strategy. 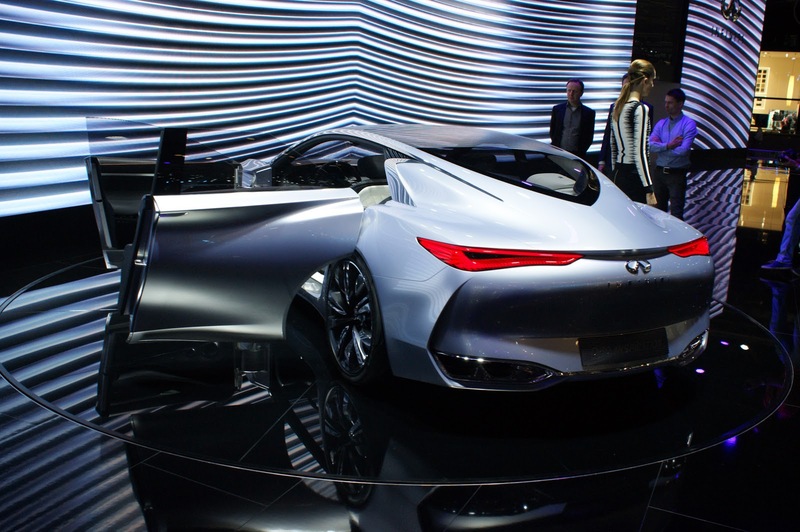 “We aim to do this with elegance, style, and emotion. 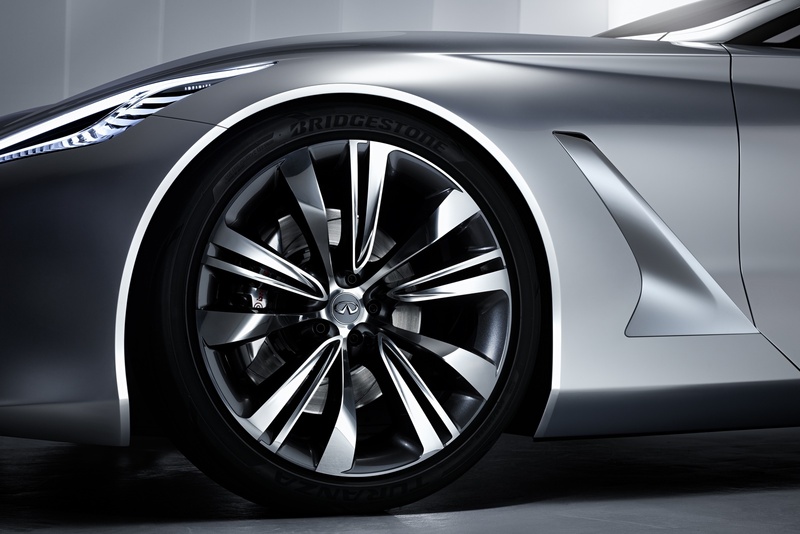 The immense presence, stunning design and bold execution of the Q80 Inspiration represents more than a flight of fancy by Infiniti’s talented design team. 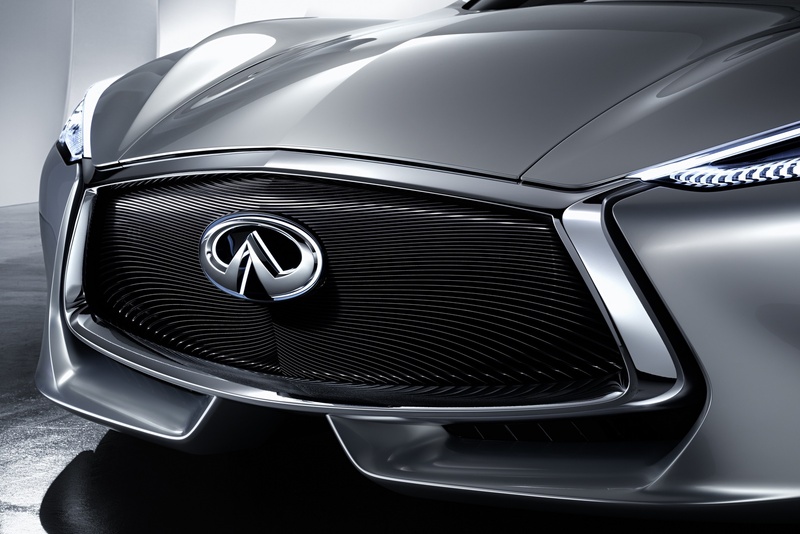 Full-size in width (2010mm/79.1 inches) and length (5060mm/199.2 inches), yet with a stance of 1340mm/52.8 inches at its highest point, the Q80 is luxurious sedan-like in dimension with fastback contouring. 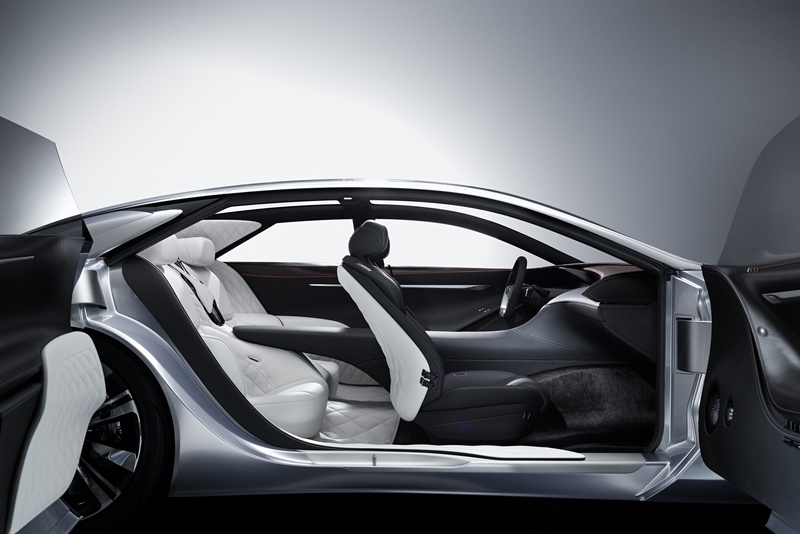 Innovations continue inside, where driver and passengers are ushered into four individual seats via wide opening portal-style doors. 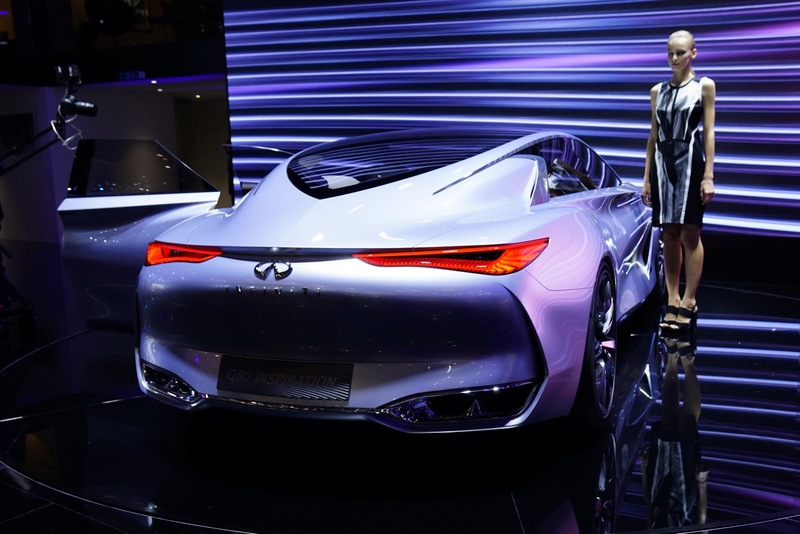 A simplified driver interface and unique head-up display (HUD) keep the complex algorithms of the intuitive technology hidden from view, showing only the information drivers need, concurrent with Q80 Inspiration’s human-centric ethos. 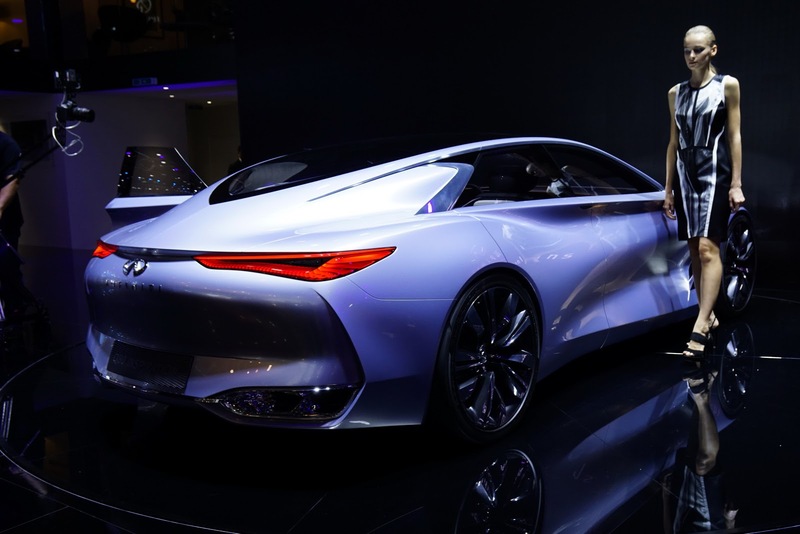 The front passenger also has an HUD for display of external information via a smartphone connected to the vehicle’s telematics system. 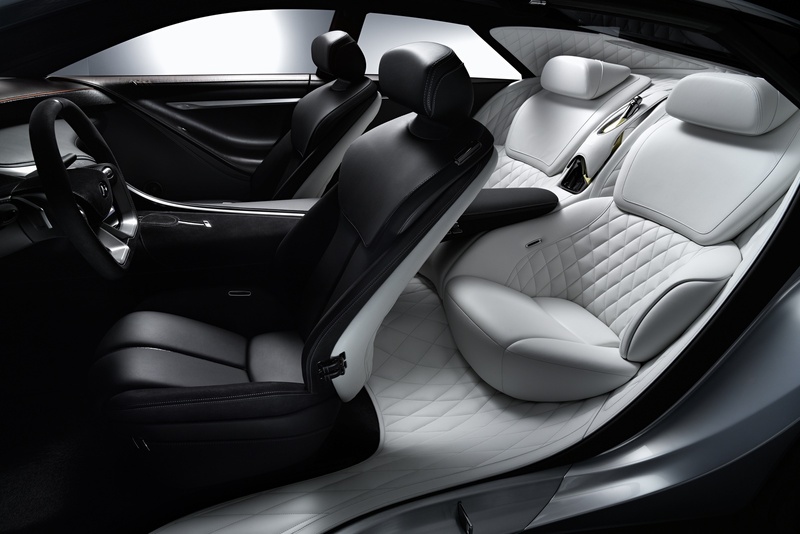 Each rear passenger has a touch screen positioned in the rear of the front seat rest to tap into their on-board entertainment package. 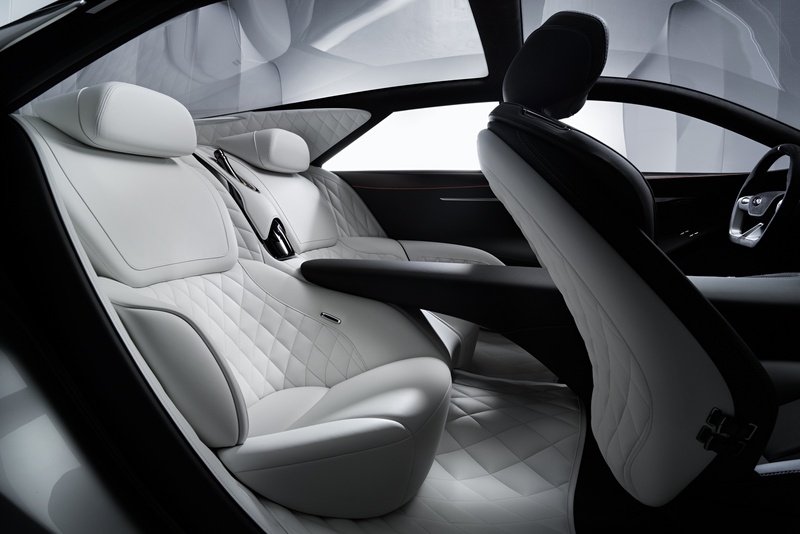 Concentration is focused on exquisitely detailed interior, featuring romance in the shape of quilted leather seats and exquisite Alcantara, leather and metal finishes, all luxuriously bathed in light from the sculptural panoramic glass roof. 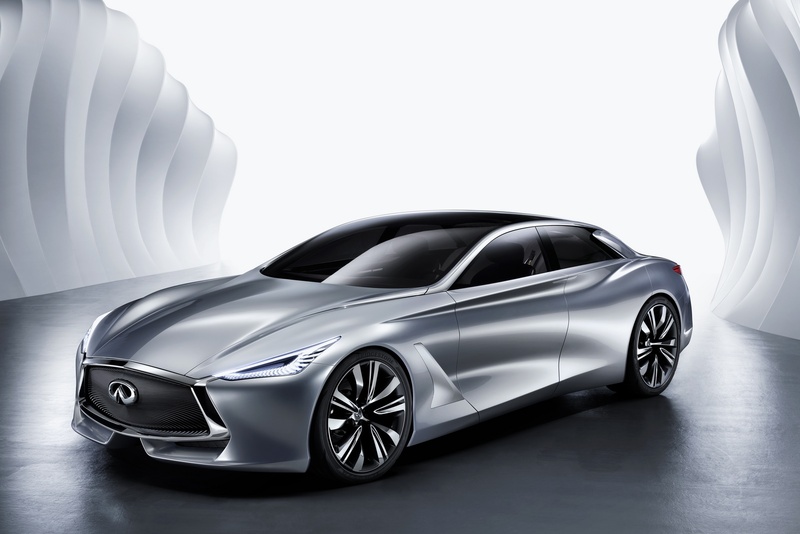 “From a design perspective, the Q80 Inspiration is the epitome of provocation, a car that breaks the mould of traditional premium saloon dimension and body form,” said Alfonso Albaisa, Infiniti Executive Design Director. 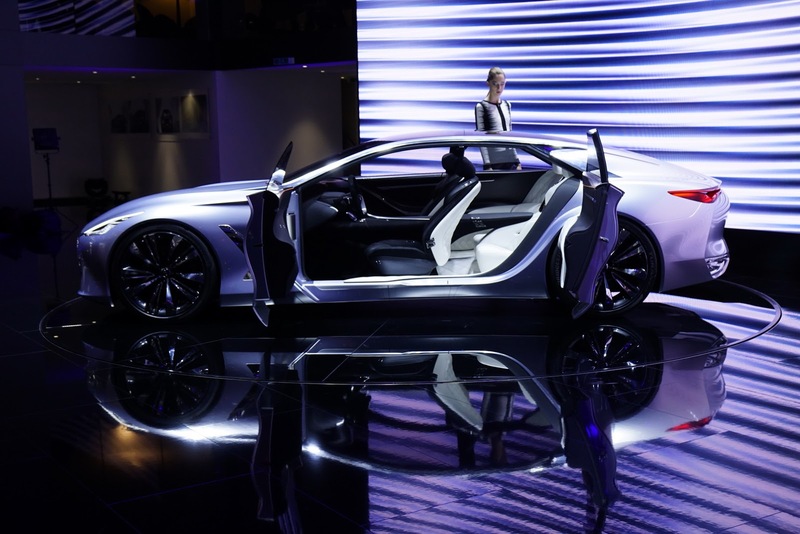 Attention has also been paid to creating a welcoming, uncluttered environment for driver and passengers alike. 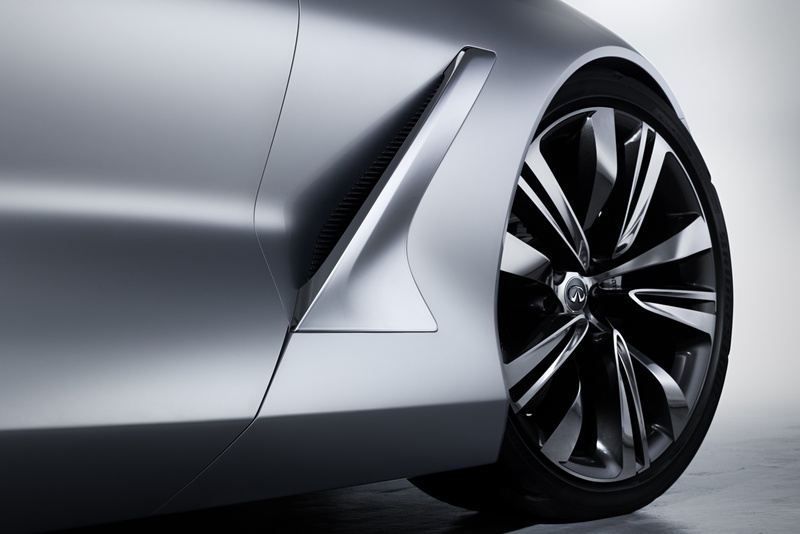 Smart technology, simplified and functional. 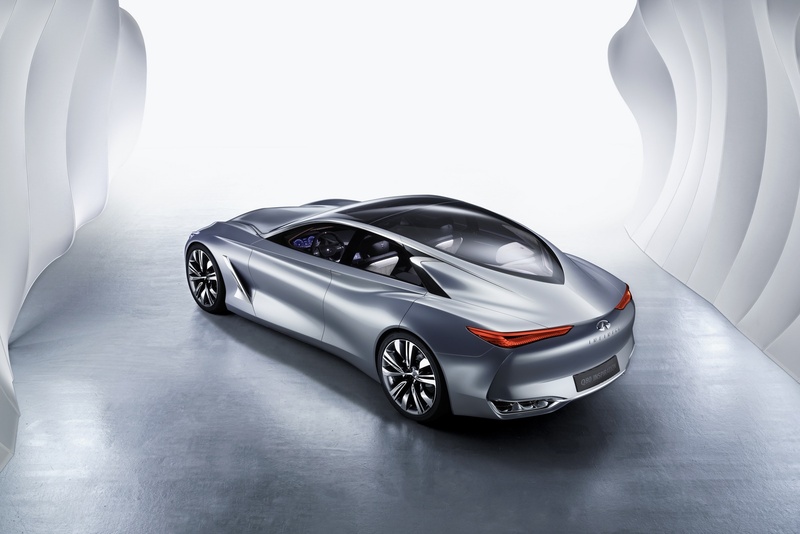 The Q80 Inspiration boasts phenomenal performance with 550hp at its disposal, delivered by an all-new, downsized twin turbocharged 3.0-litre V6 and hybrid electric powertrain. 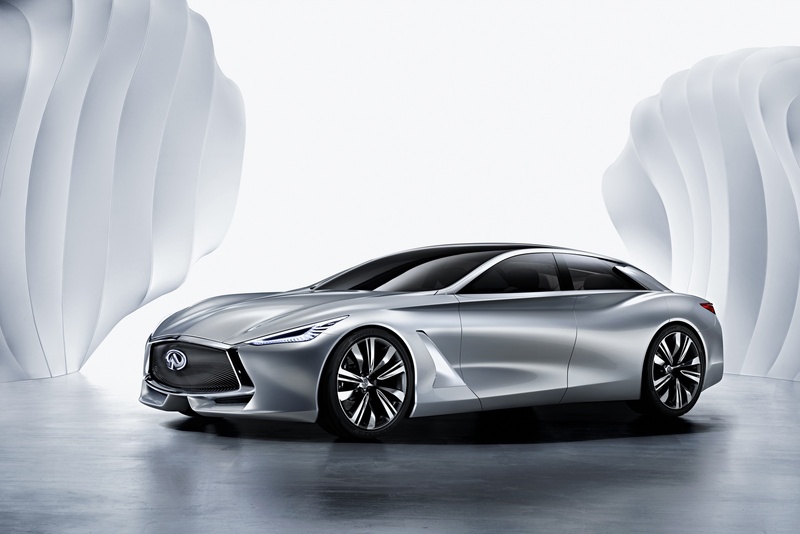 The new engine offers a precursor to a family of engines that will be introduced to the Infiniti portfolio within the next two years. 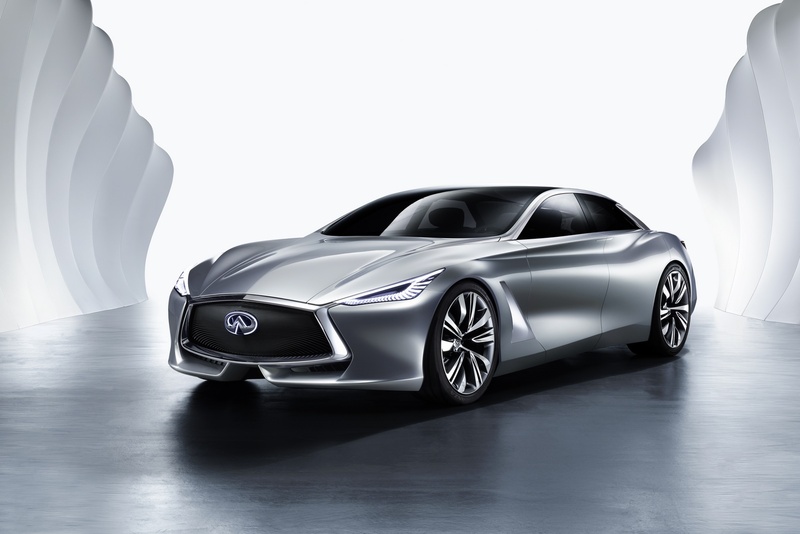 Capable of returning fuel efficiency in the region of 5.5L/100km (42.8 mpg) and CO2 emissions of about 129g/km, it offers an audacious blend of extreme performance with the social responsibility demanded by modern customers. 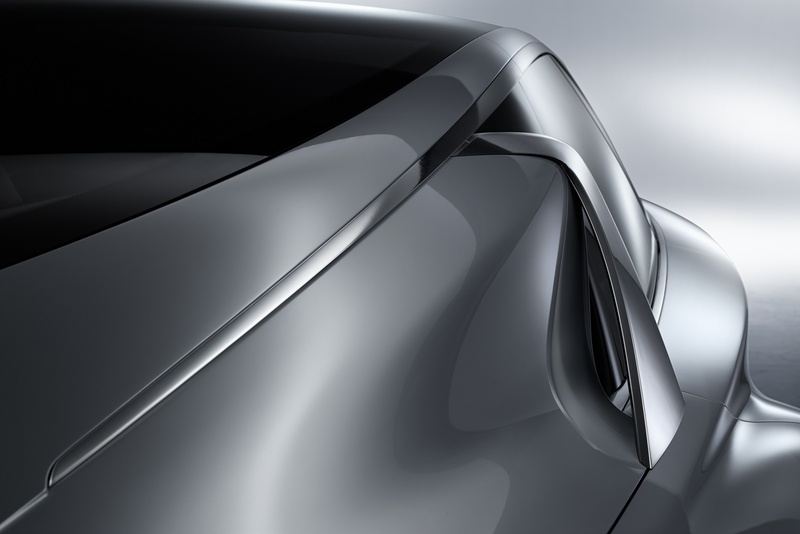 Coupled to the innovative hybrid powertrain, a smart drivetrain reinforces the sporty appeal with the ability to switch from rear wheel drive to all wheel drive on demand, or as conditions dictate. 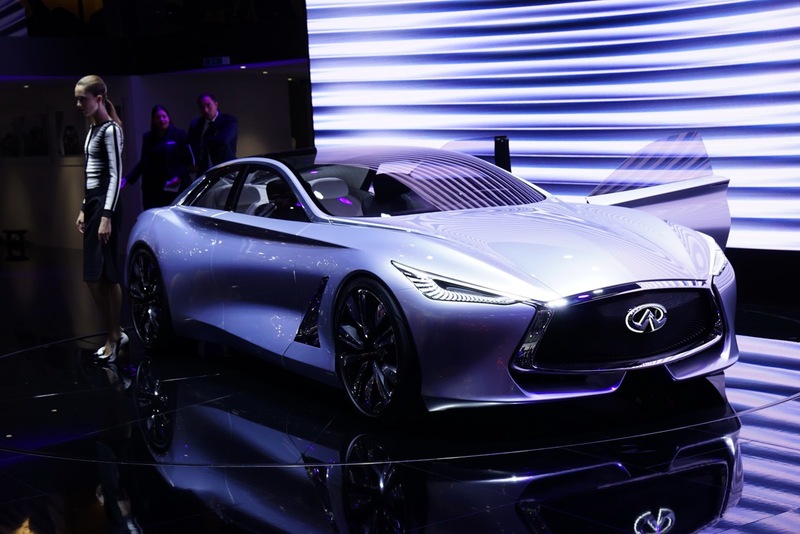 Infiniti’s Q80 Inspiration also previews the company’s philosophy on autonomous technology – namely that it should enhance the driver and not restrict them. 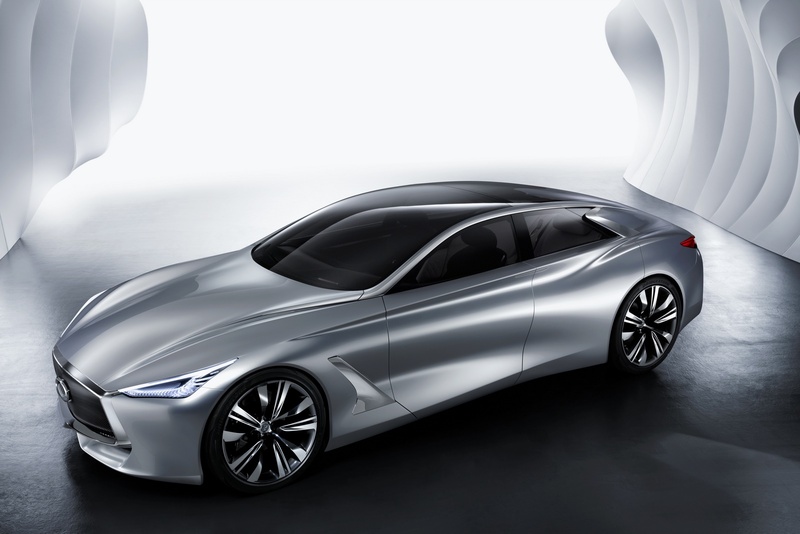 This driver-centric approach, integral to Infiniti’s vision for the premium sector, is exemplified in on-demand systems. 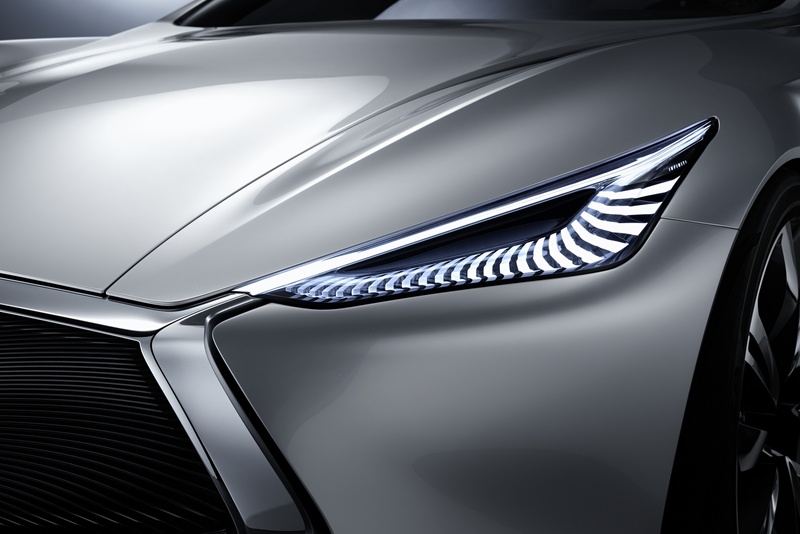 Using cameras, lasers and sensors, the ingenious technology can be employed by the driver when needed through a button on the left-hand side of the steering wheel. 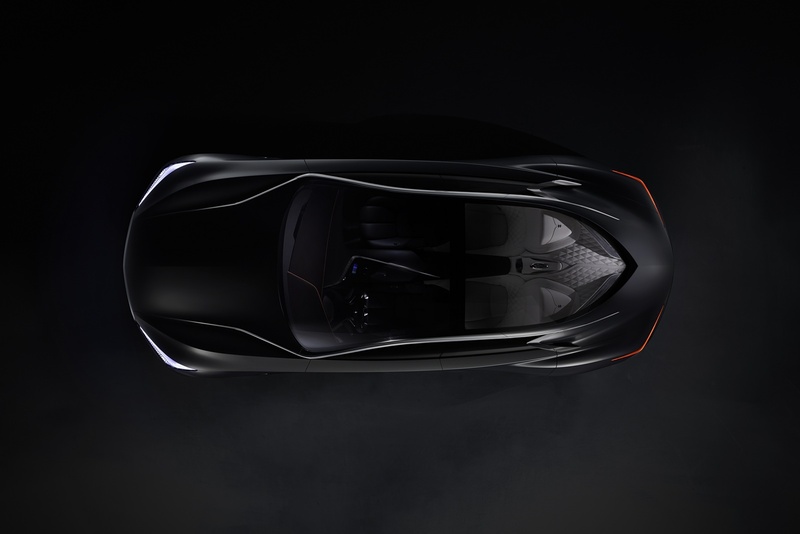 Ongoing dialogue between the driver and the autonomous driving technology system, via a clever HUD display projected on the windscreen, enables the driver to utilize the driving assistance at his/her own discretion. 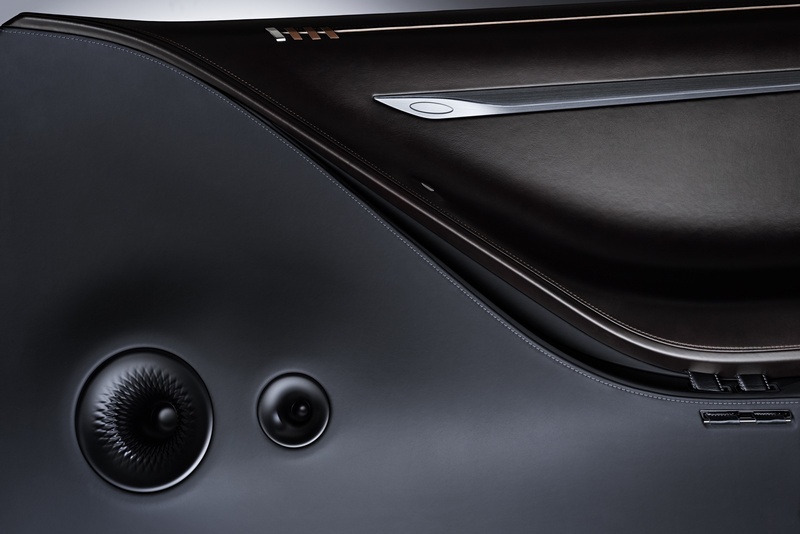 The system emits tones suggesting a course of action for the driver in heavy traffic or in highway mode. 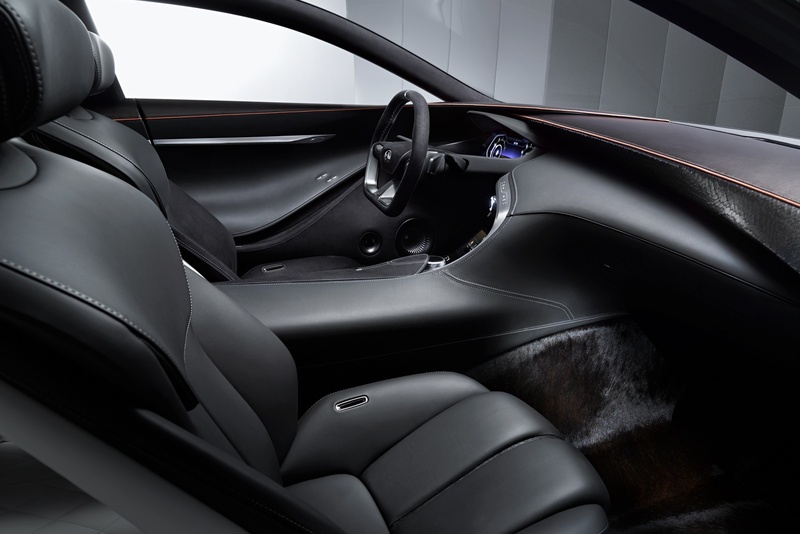 The final decision – whether to accelerate and overtake or whether to brake and fall in behind the car ahead – always rests with the driver. 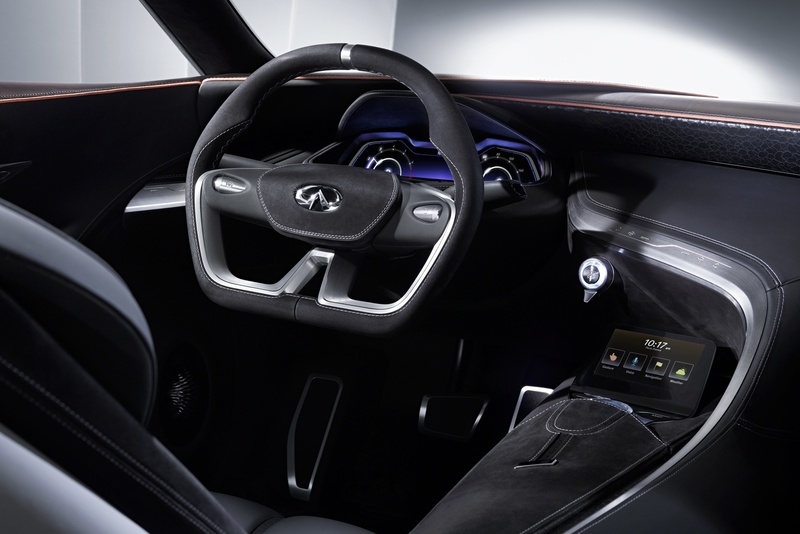 With the HUD, the driver is in command of what is projected onto the windscreen via an Infiniti InTouch™-style touchpad in the elegant centre console. 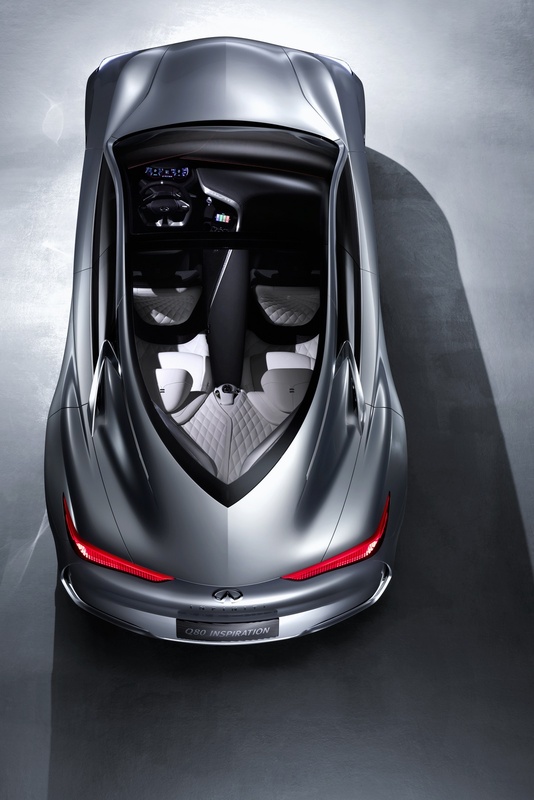 “As part of our creativity and exploration philosophy, Infiniti considers that autonomous driving is an integral part of a premium car of tomorrow. 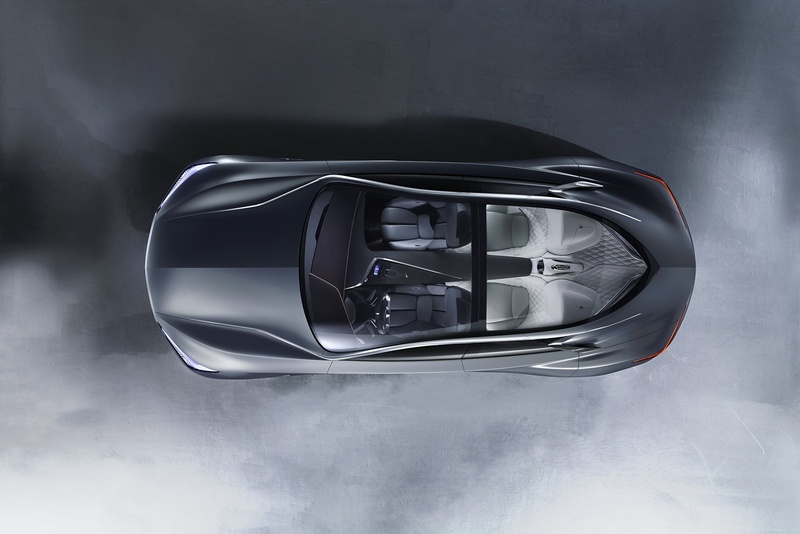 In our case, we have taken the approach that autonomous driving should empower and enhance the driving experience, not do the driving. 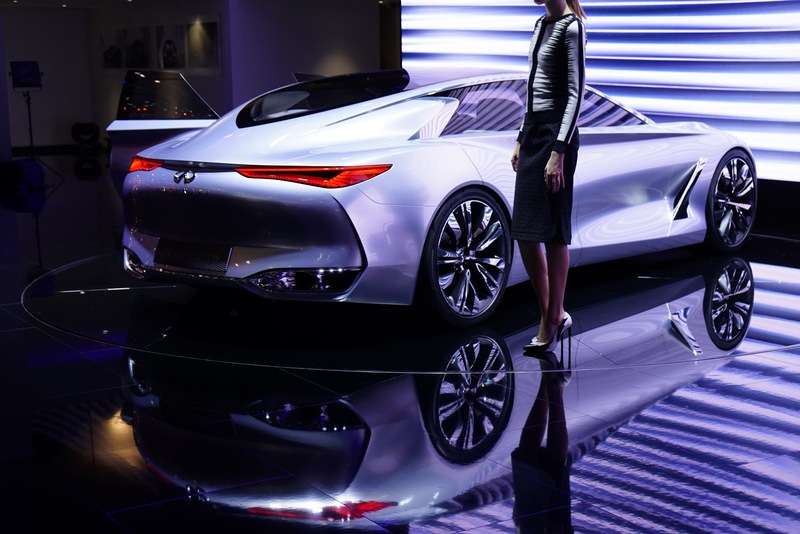 Our path of development is not taking us into the area of self-driving vehicles,” said Bancon. 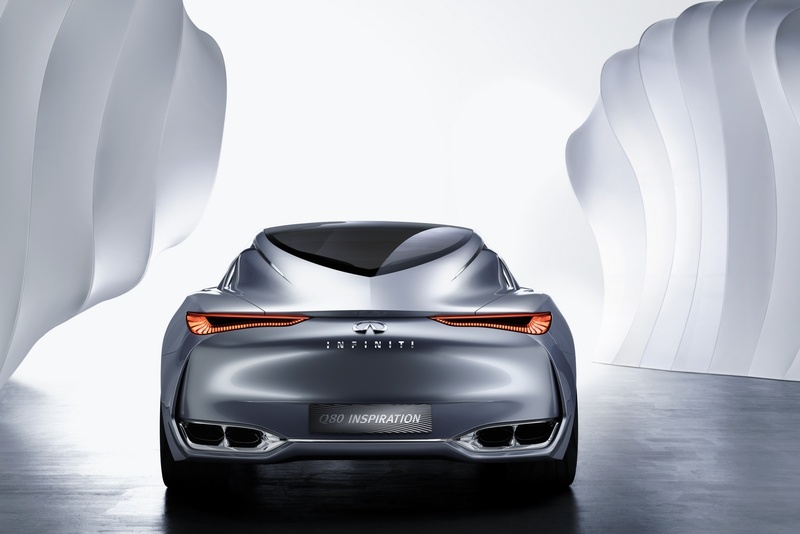 The Q80 Inspiration is a concept vehicle but the way it is named indicates a production intent, suggesting a future design language, ingenious technologies and ultimately Infiniti’s ambition to launch into a new segment – and to make an impact. 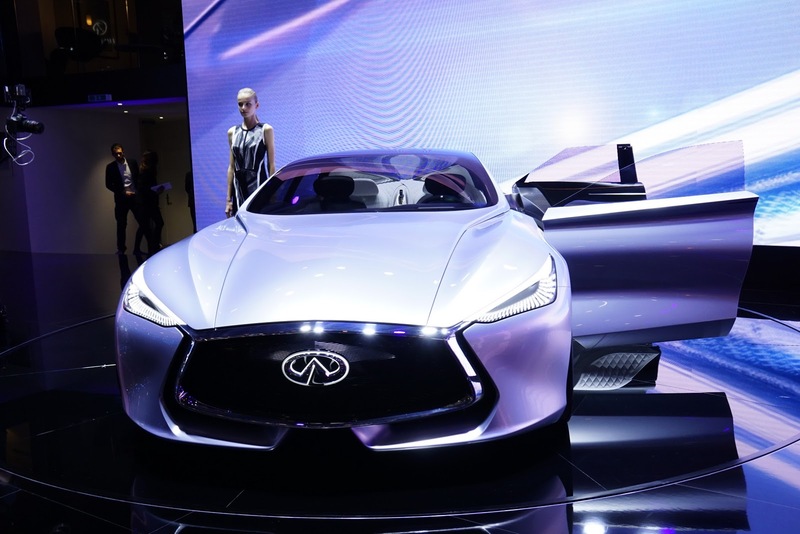 “The fact that we are entering this category, a challenging category from a business perspective, and to do so in such a brave fashion demonstrates Infiniti’s confidence,” said Bancon. 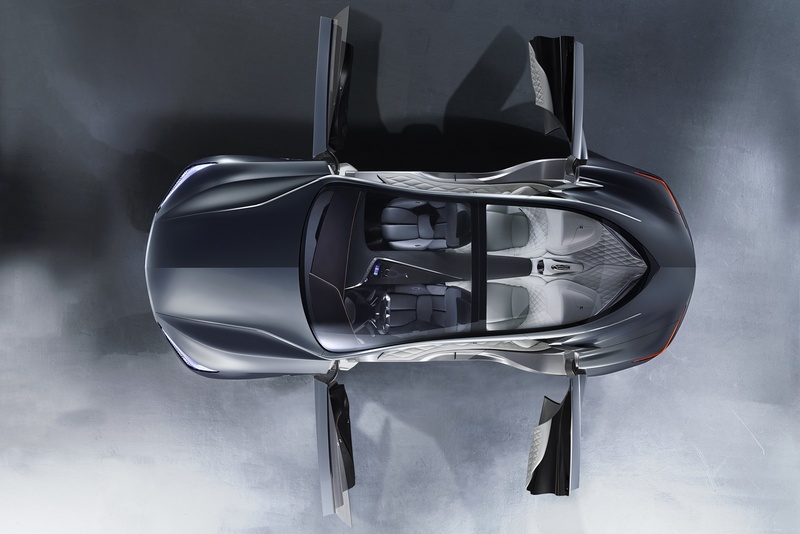 “The body type, the proportions, the smart hybrid powertrain, autonomous technology – it’s a highly innovative approach. 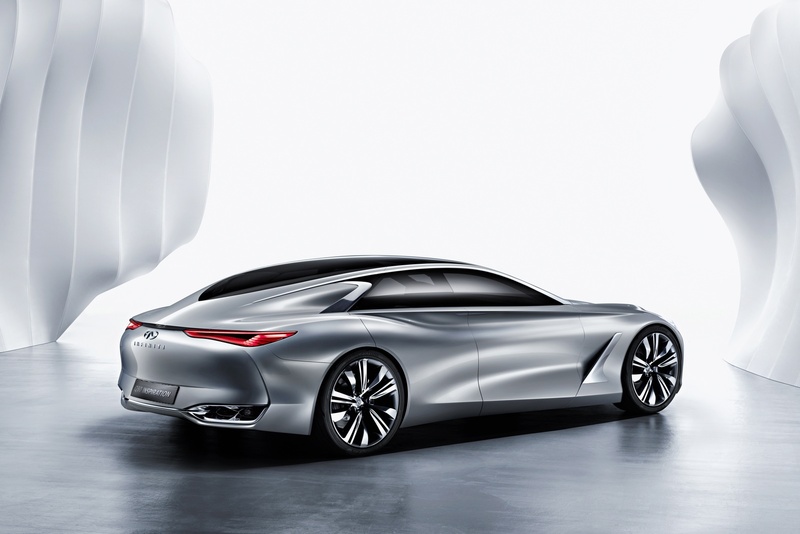 Q80 Inspiration is following a path previously trodden by the Infiniti Q30. 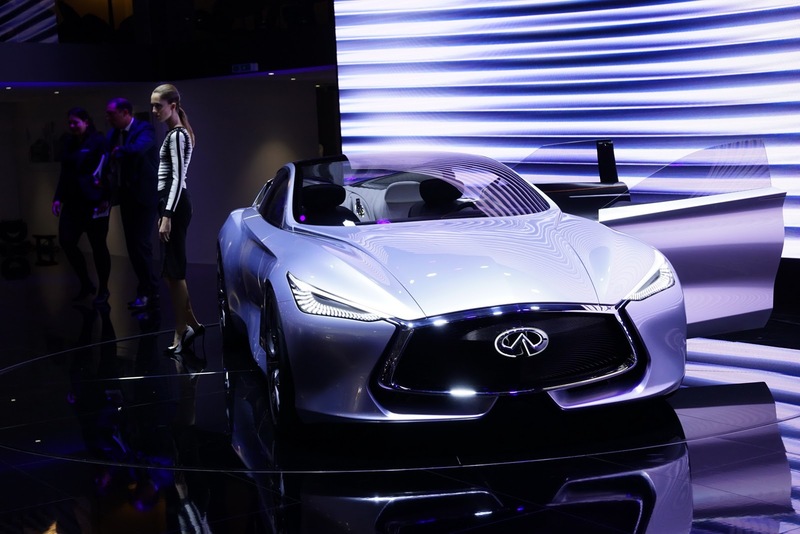 At the Frankfurt Motor Show in 2013, Infiniti revealed a concept car, the Q30 Concept, with a clear intent of entering the premium compact segment. 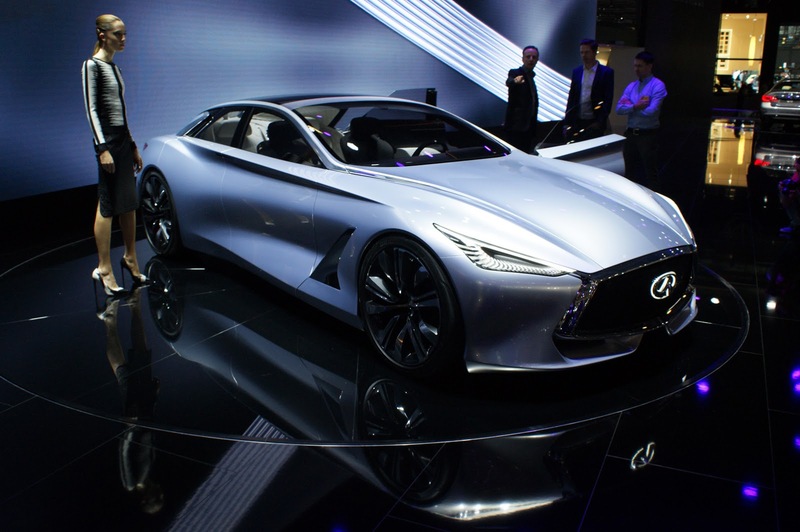 The result is that the Q30 premium compact goes into production next year.